Kim's 3D Art is relatively new in her art journey. 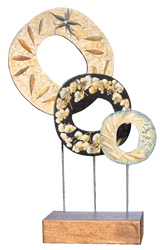 She utilizes the same processes as in her 2d art of inclusion of actual botanicals such as leaves, petals, ferns, and even pebbles and sticks into these creations. 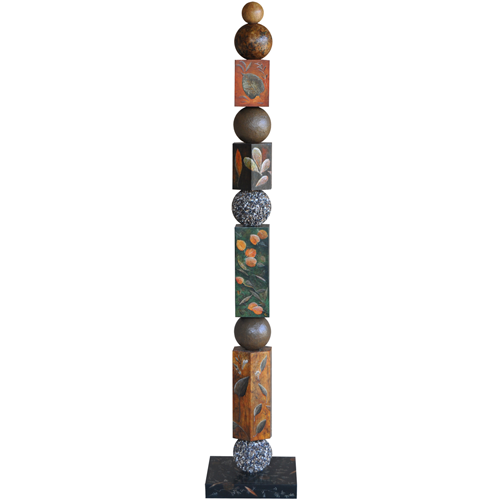 Custom birch forms as well as styrofoam balls or wood balls and metal and exotic wood bases on table sculptures are some of the elements she uses to bring the artwork to fruition. 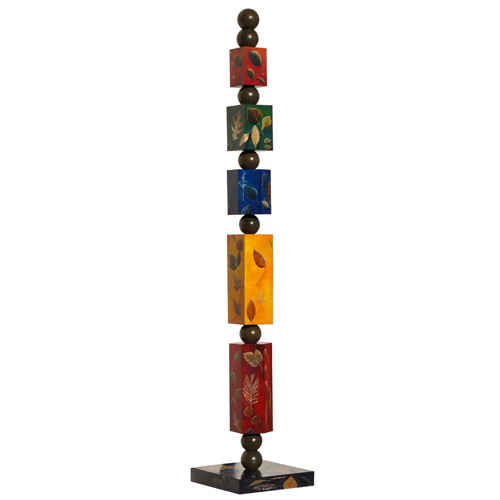 Totem sections are composed with botanical mixed-media and they are stacked on poles allowing pieces to be turned, rearranged, and seen from all sides. 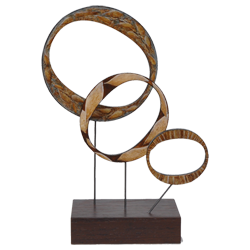 Table sculpture birch forms sit on metal rods atop custom exotic wood bases. 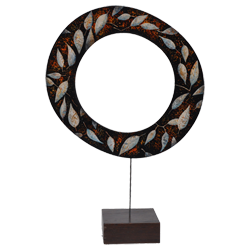 Each piece has unique botanical mixed-media compositions on all sides and can be turned and/or rearranged and seen from all sides.